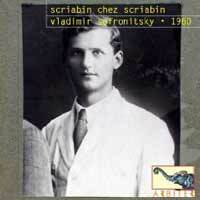 Here is a treasurable recording by the great Vladimir Sofronitsky (1901-1961), Scriabin's "posthumous son-in-law", in a historic semi-private recital on Scriabin's own piano taped in the Scriabin Museum, with "a discreet group of attendees in the music room and in any possible space throughout the house". It takes only a few moments to become accustomed to the sound quality in most of the recital and for the exceptional quality of the playing to shine through. This disc begins fortuitously with a later taping of the Sonata No 8 which begins the recital, because it was missing from the January recital recording. That has the benefit of excellent sound, after which one is more prepared to accept the limitations in the rest. Allen Evans, Producer and Founder of Arbiter records, recommends listening straight through the recital, a carefully prepared programme "weighing and shaping subtle links and effective contrasts into a profound continuity" and afterwards following selections of the works with score in hand. Readers unfamiliar with Arbiter Records will have a treat in store (see MusicalPointers' Pachmann and Busoni reviews). 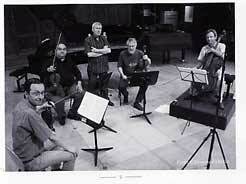 Allen Evans' notes on Sofronitsky and his career are comprehensive and interesting, and can be read on line. The booklet presentation is characteristic and attractive. An absolute must for Scriabin afficionados and collectors of transcendent poetic pianism. 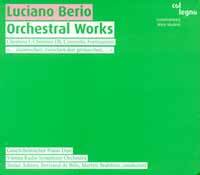 I have listed these works in reverse order and recommend sampling first Formazione, reckoned to be one of Berio's orchestral masterpieces, and by far the most approachable of these four. This, we enjoyed. The Chemins are each based on one of the Sequenze and I have admired several of them in the past, but less so on this hearing, and likewise with the two-piano concerto. But that may just reflect mood at the time. My biggest caveat about this CD, which makes it impossible to recommend, is that col legno eschews helpful programme notes for this difficult music, offering instead some "poetical" thoughts which are of no assistance by one Ferdinand Schmatz. This is amongst the most rewarding of new recordings received for review recently. I had known Florent's Tragedie de Salomé many years ago, but never got a real feeling for him and mixed him up with one of my top favourite composers, Franz Schmidt. Florent Schmitt (1870-1958) is said to have "thrown the last fires of the Romantic Movement into the 20th Century" and though he lived into its second half he became neglected and forgotten, certainly so in UK. This immense piano quintet (66 minutes) is a formidable example of the genre, which is a very poor relation of the string quartet, and I found listening to its three movements completely absorbing. The liner notes (Michel Fleury) make great claims for Schitt's ability to reconcile "greatness and force with rigorous lines and a sense of architecture". A welcome sign of the times is that, alongside endless recycling of canonic favourites, some musicians are eager to make their mark with relatively unrecorded earlier repertoire, giving an opportunity to reassess composers who have disappeared from the crowded repertoire. The quintet (a particular challenge for the pianist) is sensibly coupled with Hazards, a much lighter work for piano quartet in four short movements, with "charm, ironic, dreamy and daring" (Fleury).